Bill Liu, founder and CEO of Royole shows off a paper-thin video display. As a digital strategist, I’ve been hard-pressed to be optimistic about 2019. Over the past year, I’ve watched with disappointment, even anger at how concentration and abuse of social media have made the world worse, not better. So, it was with skeptical optimism that I made my way to the annual pre-Davos Technorati gathering Digital Life Design (DLD) Munich. Founded in 2005, DLD, helmed by co-organizers Steffi Czerny and Yossi Vardi, never disappoints. From on-stage sessions and in sidebar chatter, I came away inspired. Here’s why. China edition: Our innovative future is here, it’s just unevenly distributed. There was a lot of talk (and hang-wringing, frankly) about how to make Europe more innovative. One speaker noted how many of the most educated people in Silicon Valley were European-educated but felt they had to move to the U.S. to pursue entrepreneurial success. Meanwhile, China’s tech sector has shifted from Team Copycat to Team Innovator. I’ve seen this firsthand in my travels — and inventor-investor Kai-Fu Lee pointed out that there’s no reason why China’s most innovative firms can’t compete outside China. “My prediction is that in five years, half the world will be using US software, and half the world will be using Chinese software. I don’t necessarily think that is good, but that’s the way I think it will be,” said Lee, who is a pioneer in speech recognition and one of the leading investors and experts in Chinese venture capital. We were also wowed by a live demo of a foldable smartphone and a paper-thin video display by Bill Liu, founder and CEO of Royole. His firm is U.S.-based with offices in Hong Kong and a massive manufacturing plant in Shenzen. Confession: my excitement for the possibilities of new ways of storytelling and engagement on such devices was offset by the ennui brought on by Microsoft Outlook work email and a screechy Twitter feed. ​Africa edition: Our innovative future is here, it’s just unevenly distributed. 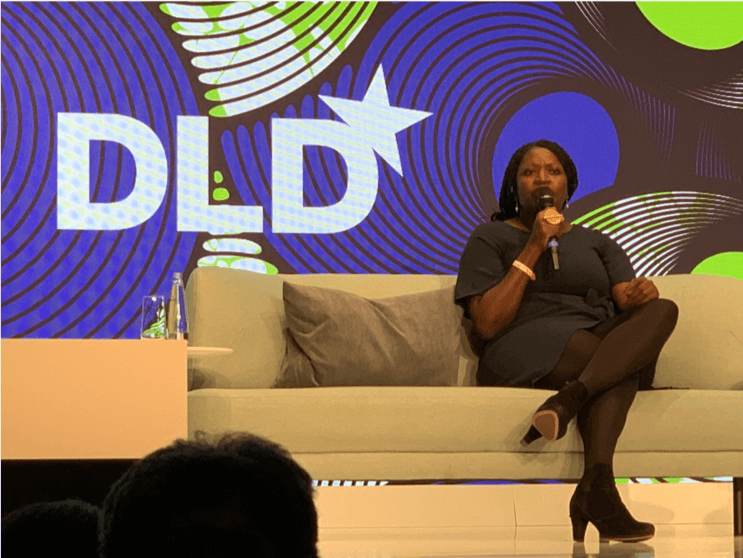 Serial founder Fatoumata Ba challenges tech investors to focus on African innovation. Today, it’s easier to do a peer-to-peer money transfer in Nairobi than in New York. And there’s a multiplicity of startups across Africa taking existing technologies such as mobile banking and satellite imagery and mixing them together to create new services, such as crop insurance and farm loans. What’s driving this innovation? There’s a huge gap between what people need and services and products that are available. “We have the highest rate of female entrepreneurs: 27 percent. But it often comes out of necessity,” said Fatoumata Ba, CEO of Janngo and co-founder of Jumia, Africa’s first tech unicorn and fastest growing e-commerce site. In Africa, there are increasingly more entrepreneurs, but not enough investors or funding flowing to them. ​If you think the last decade was disruptive, wait for the internet of things (IOT). Though I’ve not owned a car since Coolio’s “Gangsta’s Paradise” was a no. 1 single, I’m truly struck by how rapidly carmakers are reinventing themselves to focus on a)emerging markets and b)consumers who demand a digital experience from what’s very much an analog activity (true digital transportation would mean we could commute by emailing ourselves to work). That’s a huge threat and opportunity if you know how to delight the customer and garner insights from their data. BMW, arguably one of the most innovative carmakers around, gets it. “We are recruiting more software engineers than mechanical engineers. When I started working at BMW, the percentage of software engineers was about 5 percent,” said BMW CEO Harald Krüger. He noted that software will be core to BMW’s success and the value creation will be much higher in the future. Imagine dedicating your life to the automobile business and ending up in the software business. Voice interfaces such as Alexa are set to do to retail what auto-tune has done to pop music. 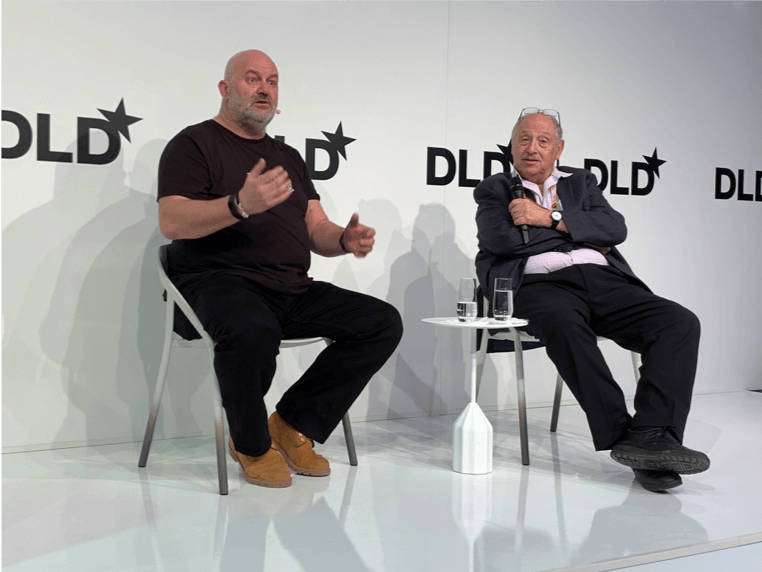 Werner Vogels, Chief Technology Officer of Amazon with DLD co-founder Yossi Vardi. Amazon Voice is the death of brand, L2 futurist Scott Galloway said in his fresh set of predictions for 2019. He made a compelling case that there’s no need for all that effort around brand building and marketing if people can just ask Alexa for stuff…especially more white-label stuff. Galloway said Amazon has added 66 white-label products in the past 18 months alone. While a white-label product line isn’t a new thing at all, it’s a lot easier to just go to the default product offered by Alexa if you don’t have experiential cues like in-store displays or display ads to reinforce a brand name. And it seems disruption will only accelerate for brand marketers in 2019. So, what’s next? Consider that Alexa was announced in 2016 — she’s three-years-old, imagine what she’ll be able to do when she’s five, or eight — or 20 years old. ​2019 is a year for optimism and courage. The past two years have been rough for those of us who believe technology should be a force for good — empowering and improving the human condition. DLD provided a welcome counternarrative to all that. Augmented reality could provide a leap forward for medicine. Blockchain may be coming out of its trough of disillusionment as applications for empowering individuals with data and civic engagement grow. Bill Gross shared how coal-fired electricity may be consigned to history very, very soon. So cheers to 2019, and pushing for tech to make tomorrow better. A version of this article appeared on The Drum.